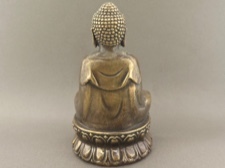 A beautiful cast bronze buddha on lotus pedestal with a joyful expression of deep contentment and meditation. 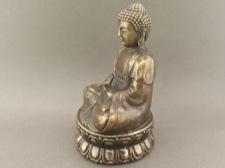 Small and compact, his seated height is 4 inches. 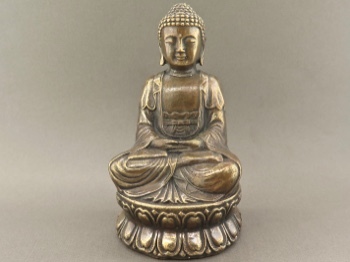 He is suitable for any altar or place where he can promote thoughtful guidance and serenity.